YAMPOWER are highly regarded as specialists in outboard servicing, repairing and rebuilding of YAMAHA, SUZUKI and TOHATSU OUTBOARD engines and have a full SERVICE FACILITY FOR HONDA, MARINER and MERCURY, we have a drop of service or a book in service for the larger engines still on the boats, our large workshop gives us the room to stock almost every specialist tool we will ever need to match the expertise available. 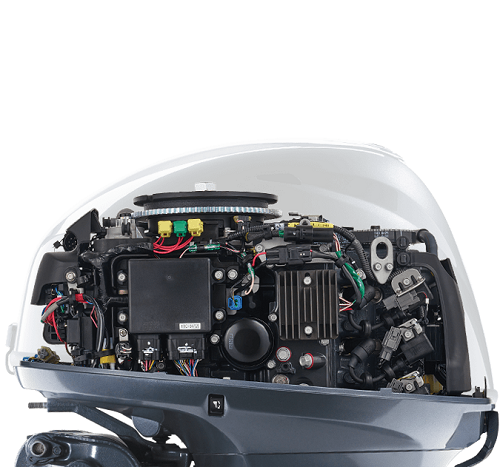 We are also an authorised SUZUKI and TOHATSU OUTBOARD service centre for the full range of engines including the V6. We also service all major brands of outboard engines, No matter whether you have a small 2hp or the mighty V8 Yamaha, Yampower can help. we can carry out emergency 24hr repairs at an extra charge. YAMPOWER have been established for 0ver 35 years as a sole Yamaha outboard dealer, we carry a large stock of Yamaha parts dating back 0ver 20 years, If we don’t know about the engine it probably wasn’t built. YAMPOWER can also supply the full range of HUMBER, ZODIAC, BOMBARD and AVON RIB & INFLATABLE parts and accessories all at competetive prices offering many parts from stock. Call us on 0141 778 5384 for further information.